Are those greasy, golden fried food preparations are too hard to resist. Go ahead; tuck into them. Why resist them? 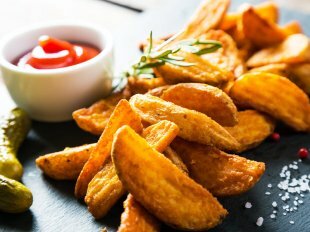 Well, many of us believe fried foods are far from healthy. That’s not entirely true. The right method of frying can indeed make it a healthy affair. When frying, you must consider the ‘smoke point’ of the oil. Smoke point of cooking oil is the temperature at which it breaks down and produces hazardous compounds. 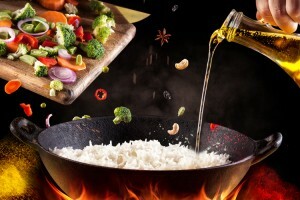 When you cook with oil that has high smoke point, not only is the food safe but also it cooks faster and absorbs less oil. Pomace Olive Oil has a significantly high smoke point, which makes it ideal for frying foods. Fat is necessary in food but should be chosen wisely. If you have a plate of fried food in front of you, make sure there is minimum saturated fat in it. 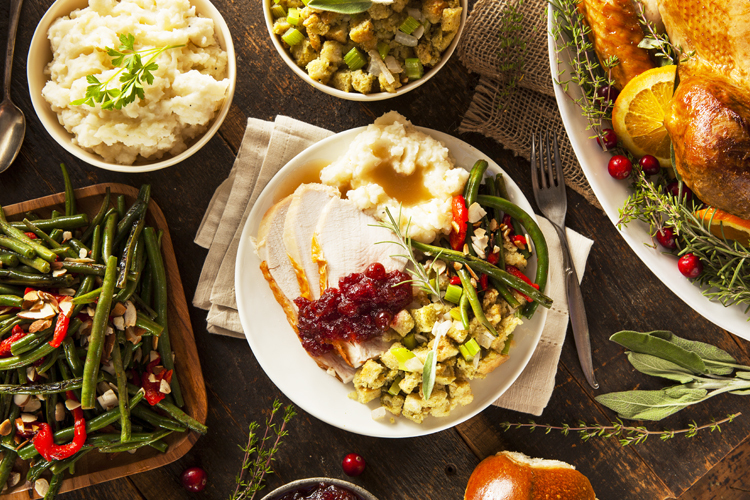 Limit the intake of saturated and trans fat, as these are linked to health risks, such as cardiovascular diseases (CVD) and Type 2 diabetes. Replace the unhealthy fats with polyunsaturated and monounsaturated fats (MUFA) that help improve blood cholesterol and insulin levels. 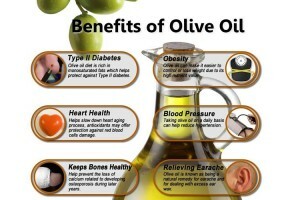 Pomace Olive Oil is a good source of unsaturated fats, containing 82% (MUFA) and only 10% saturated fats. Don’t fry or keep the oil at a high temperature for a prolonged period of time. If you do, unhealthy radicals begin to form. The same happens when the oil is reused many times. When the oil gets exposed to high temperatures often, the more readily it breaks down. 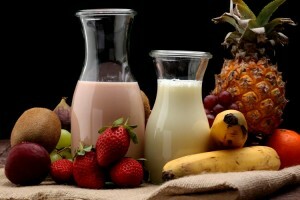 As a result, free radicals are released into your food. You can reuse Pomace Olive three to four times provided the temperature is controlled at within 190°C. If you are to reuse the oil, filter it carefully after each use through gauze, muslin or suitable paper filter. Store the oil thus obtained in a dark, cool place. 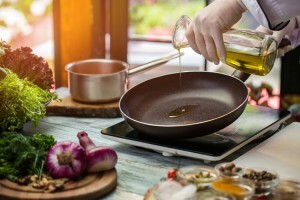 A deep fryer is the ideal equipment which not only allows the oil to maintain a consistent temperature but also preserves the remaining oil for later use. If you do not have a deep fryer, a heavy-bottomed pot can be used. It helps retain the high temperature and prevent the heat from fluctuating too much. The bottom line: you don’t have to give up your favourite fries. Stick to the aforementioned tips to make your fries health-assuring. 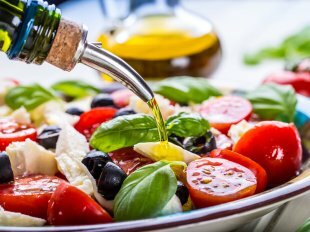 Next Is Olive Oil a Right Choice for Cholesterol? Taste Doesn’t Change with Pomace Olive Oil!